The Chancellor is set to announce a £100 million investment to create 1,000 new PhD places across the UK for the next generation of Artificial Intelligence when he addresses the World Economic Forum on Thursday. It will be used to fund research into life-saving technology for NHS hospitals, improve voice-recognition software for business and consumers, and develop early-warning systems to protect people from pollution hotspots. The investment is part of a £7 billion fund the Government has committed to science and innovation since 2016. Mr Hammond is expected to say: “Britain is a great place to do business. “And we are determined, as we leave the EU, to make sure it remains that way. “We are leading the way in the tech revolution. “The UK digital sector is now worth over £130 billion with jobs growing at twice the rate of those in the wider economy. “I want to ensure we remain the standard bearer, so we must invest in our new economy so that it can adapt and remain competitive. Shadow chancellor John McDonnell said: “You don’t need a PhD to understand that a No Deal would be catastrophic for the economy. 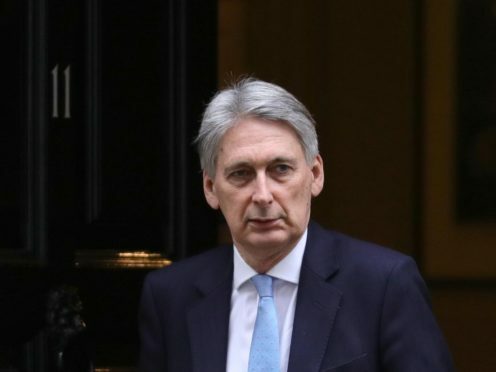 “Instead of swanning around amongst the rich in Davos, Philip Hammond should tell the Prime Minister to take No Deal off the table. “The Government already announced in April 2018 that it would establish 1,000 PhD scholarships in AI. “Given that we have been told that the funding comes from 2016 funding commitments, this sounds like nothing more than a repackaged announcement.